Dave Mustaine, Megadeth singer and guitarist has Lyme Disease | What is Lyme Disease? David Scott Mustaine is a musician, singer, songwriter, actor and author. He is best known as the co-founder, guitarist, lead singer, and primary songwriter of the American thrash metal band Megadeth, and the original lead guitarist of the American heavy metal band Metallica. In October of 2017 news started coming out about how sick David had gotten as he admitted on social media he has Lyme disease. Megadeth mastermind Dave Mustaine has revealed via Twitter that he’s been diagnosed with Lyme Disease. 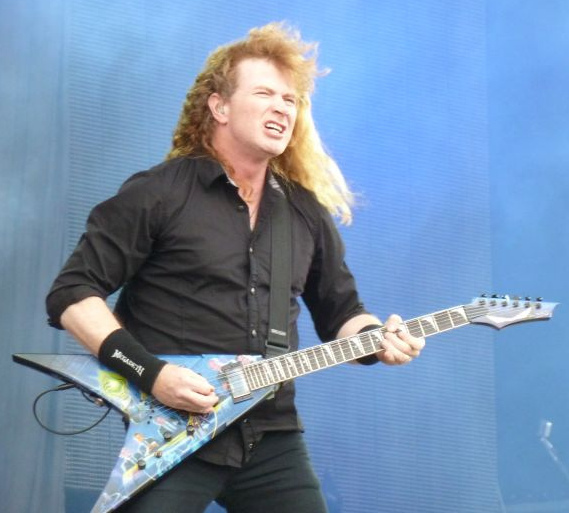 David Scott Mustaine is my favourite guitarist. I love his voice too. I didn’t heard about it that he has Lyme disease. I hope he is fine now and he recovered himself from this disease. I am studying in school and my teacher told us to write an essay on your favourite person. I want to write an essay for me So, i am writing an essay on him and gathering little bit more knowledge about him.